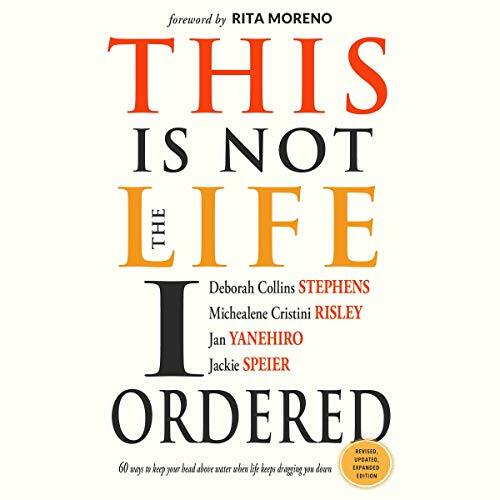 This Is Not the Life I Ordered is the culmination of weekly "kitchen table coaching" sessions that took place for more than a decade and were designed to support four extraordinary women through life's ups and downs. These women realized that their support of one another could help other women struggling with life's myriad issues of work, family, and love, as well as the big questions of life and death. The power and strength of their collective friendship has enabled them to not only survive but to thrive, and the remarkable results are in this collection of lessons and stories and wisdom, which can help women turn any unfortunate event into a joy-filled opportunity. Twenty-five percent of the material in this edition is completely new: 2 of the stories have been updated, many new interviews have been included, and there are 2 new chapters - one about the Me Too Movement and one focusing on the experience of loss for adult children. ©2019 by Deborah Collins Stephens, Michealene Cristini Risley, Jan Yanehiro, and Jackie Speier. Foreword © 2019 by Rita Moreno. (P)2019 Brilliance Publishing, Inc., all rights reserved. I wish I had met this book years ago. Thankfully it us here for other women (and forward thinking men) to employ!